To show the report without any highlighting, click Unselect. items appear more spread-out, and facilitates a finer selection. items are still in order, even if the time index contradicts the list. Search for Motion window. See figure 46. 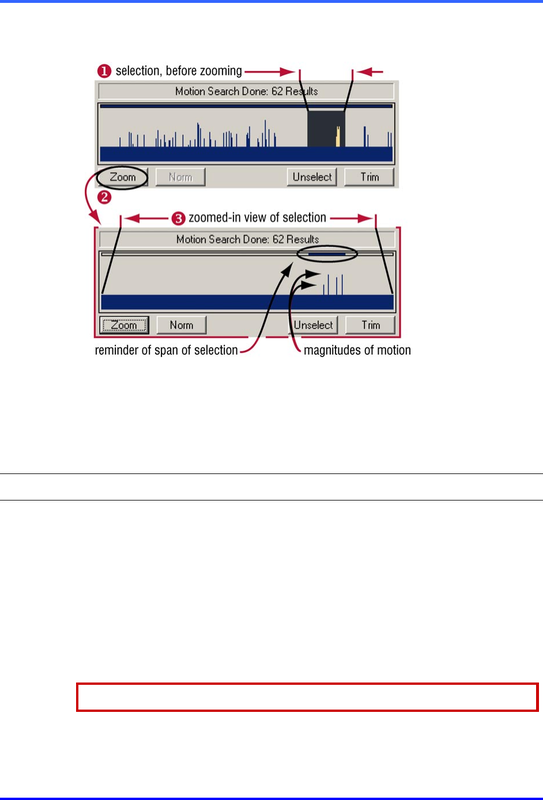 Frame of the Search for Motion window. the first of the selected items. Video is shown using the camera that detected the motion. Video keeps playing until you stop it or until the Motion Search session is closed.